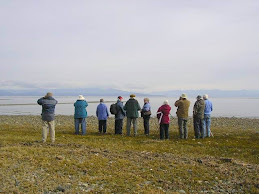 The Sunday bird walk went to the Beaver Ponds in Nanoose Bay. The morning was sunny and warm. Turkey Vultures and Bald Eagles were seen throughout the morning. We had great views of a Wilson’s Warbler right next to the trail. Tree Swallows and Violet-green Swallows flew overhead. A Cassin’s Vireo was heard singing for the longest time near the trail. 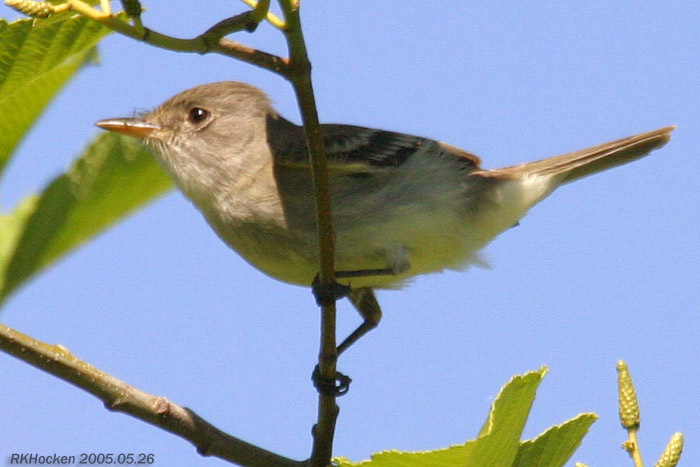 A Townsend’s Warbler and a Black Throated-grey Warbler were seen just off the trail in the same tree. Willow Flycatchers, Pacific-sloped Flycatchers, Western Tanagers and Black-headed Grosbeaks were heard for most of the morning. 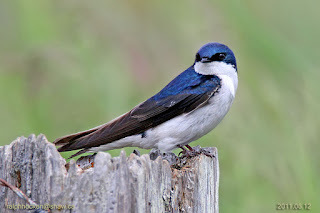 Tree Swallow: Ralph Hocken Photo. 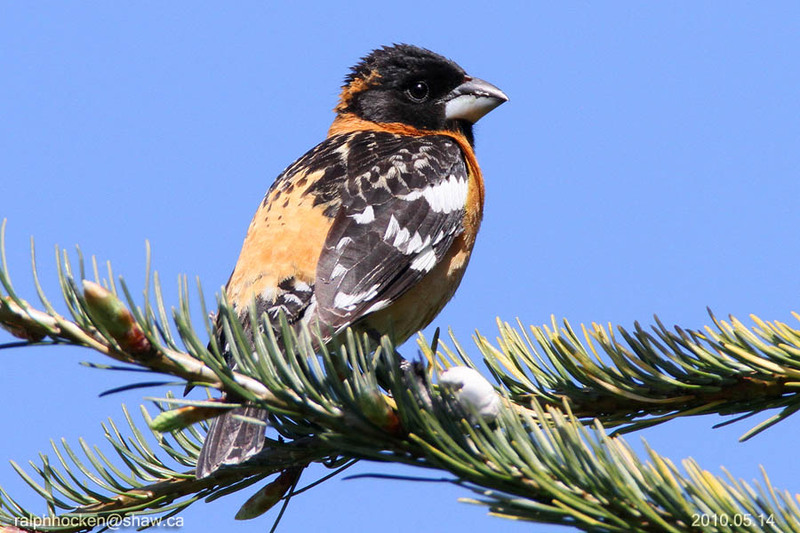 A Black-headed Grosbeak is visiting feeders along Meridian Way in Parksville. A Black-headed Grosbeak is visiting feeders at the end of Lakeside Drive in the Cinnabar Valley. 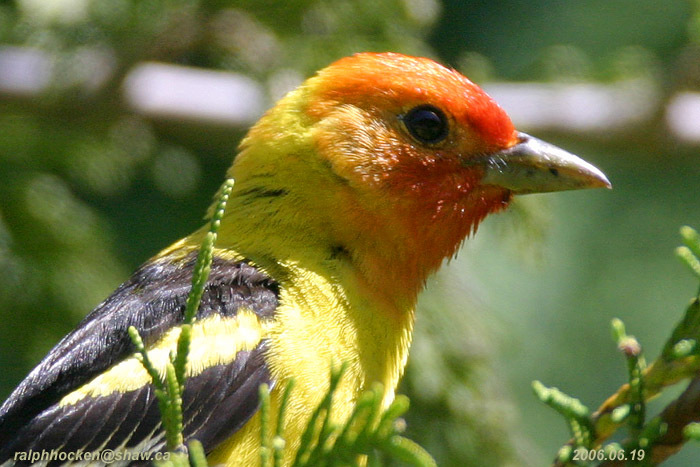 Red Crossbills and Evening Grosbeaks are visiting feeders along Elizabeth Way in Lantzville. A pair of Evening Grosbeaks is visiting a back yard in the 800 block of Douglas Avenue in Nanaimo. The Sunday Bird Walk on May 20, 2018 will be going to Linley Valley in Nanaimo. Meet at the Bird store at 9:00 am or at the Burma Road entrance to Linley Valley, off Lost Lake Road in north Nanaimo at about 9:20 am.